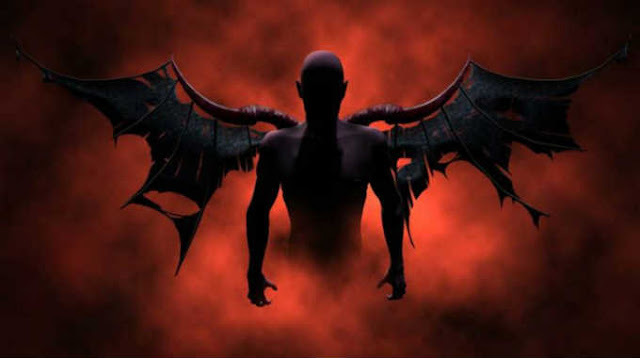 The aliens of our time match the demons and fallen angels mentioned in the Bible in terms of their behavior. Like the Bible predicts, aliens never affirm the deity of Christ nor do they claim to come in his name. Aliens change their stories to delude man into believing their lies. One example of this is that before man had been to outer space or sent satellites there, aliens would claim to be from planets such as Jupiter in our solar system. As time went on and man learned more about our planets, we realized that no one could live on a planet like Jupiter, so aliens changed their story. Now they claim to be from other solar systems and star clusters such as Andromeda and Pleiades. Though aliens are said to be advanced, it seems they need us for their survival just as fallen angels need human beings to prey on. There are various accounts of aliens taking tissue samples from humans, probing them, or impregnating women. This is the origin of the entities known as incubus and succubus. Alien abductions are stopped by invoking the name of Jesus. Aliens bring ideas to earth that will help man unite worldwide for a new era of consciousnesses. This uniting prepares the way for their leader (who is possibly the Antichrist) by making mankind forget their religion and loyalty to their countries. Aliens often contact “new-agers” and occultists, as opposed to Christians. This is not always the case since people from all walks of life have been contacted by “aliens.” However, I believe that these “space brothers” are not too interested in contacting Christians. This is because Christians will be able to see through aliens’ disguise and know them for what they are: demons. Aliens are not opposed to being worshipped by humans. They also deny their creator (God), claiming instead that they are Creators. This serves to draw man away from God. Aliens give man technology but these “advancements” are usually destructive. There are secret projects that many governments have in their budget which are usually for creating new weapons of war. Much of the technology for such weaponry is said to come from extraterrestrials. Why don’t aliens ever give us life-saving technology? Aliens often emit horrible odors, such as sulfur. Some call this smell the stench of Hell since it is a sign of the eternal fire.